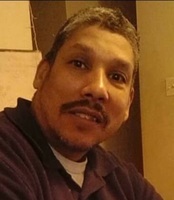 Provide comfort for the family of Jose Rodriguez with a meaningful gesture of sympathy. Consider providing a gift of comfort for the family of Jose Rodriguez by sending flowers. Please accept my sincere condolences for the loss of your loved one. It seems so unfair that death should have the power to take away someone you love. However, the Bible at Psalm 34 and verse 18 assures us that our Heavenly Father is aware of our pain and is near to the broken-hearted. The Bible also gives us the promise that there will be a resurrection and that God will bring an end to death once and for all (Revelation 21:4). It is my hope that the power of God’s Word will help to ease your sorrow as you cherish the loving memories you shared together. For more information please visit JW.ORG. Please accept my deepest sincere condolences during your time of grief. My hope is the words of Christ Jesus be comforting, when he stated that "the hour is coming in which all those in the memorial tombs will hear his voice and come out" (John 5:28, 29). We can also take comfort in God's personal promise to "wipe out every tear" and even "death will be no more" (Revelation 21:4) May you look to the Bible for comfort from our creator, Jehovah God, during this difficult time.